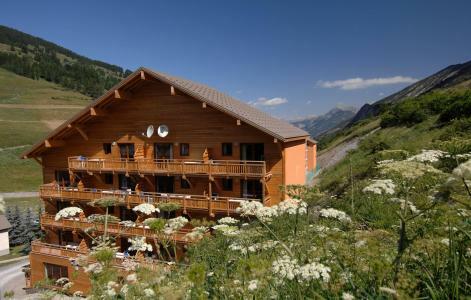 For successful summer holidays in the mountains, book your accommodation to Vars in Southern Alps massive, Hautes Alpes. This mountain resort will offer you exceptionnal areas and surprising landscapes. Your summer accommodation to Vars will be for you a moment of wellness in the heart of a beautiful nature and you will spend holidays in wide open spaces. Our moutain offers will make you live warm emotions with all your family. We propose you quality holidays accommodation in all French massives, in the heart of mountains. We have many residences to rent for your summer to Vars. Let yourself be carried by a feeling of happiness, enjoy the summer holidays in the mountains full of sun and discoveries ! Located at the upper part of Vars, in a calm and preserved area, the prestigious residence Le Chalet des Rennes **** is composed of charming small barded wooden chalets with noble and typically mountain architecture. The 2, 3 and 4-room units are decorated and shaped to ensure maximum comfort and meet all your requirements. These are cozy apartments, sleeping 2 to 8 people, fully equipped with balcony. In the building where the reception is located, you can enjoy the relaxing lounge or even better a magnificent pool area! The residence is located 50 m from the Fontbonne chairlift, 250 m from shops (supermarket, restaurants, bars, sports shops ...) and 400 m from the resort center. 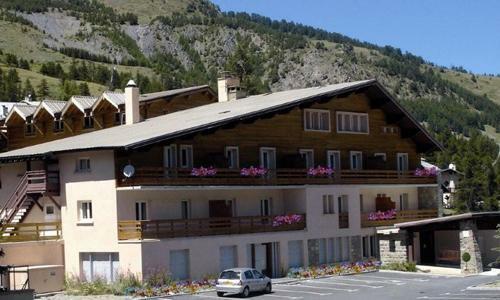 The residence Les Myrtilles is ideally situated in the heart of Vars Les Claux ski resort, at only 50 m from the first shops. All the renovated apartments are well equipped and offer a beautiful view on the valley. 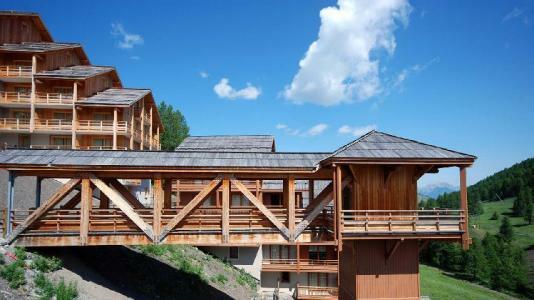 The comfortable residence Le Pic de Chabrières, with lift, consisting of a single building, lies at the Vars les Claux resort exit, 100 m from the "Point Show" Centre. It is at 500 m from the resort center and 100 m from the shops. The Chalets des Rennes is a prestigious tourist residence which comprises of quaint wooden chalet style which are typical of the region houses. They are situated in altitude in the area of Fontbonne, 250m away from the slopes and local shops (mini-market, restaurants,bars, sport shops,...) and 400m away from the heart of the resort. The "Albane" Pierre & Vacances residence is designed in typical regional style and is close to the resort's shops and activities. It offers very comfortable apartments with a view of the forest and the valley. The residence Ecrin des Neiges deploys a unique charm that reflects the wood and stones. 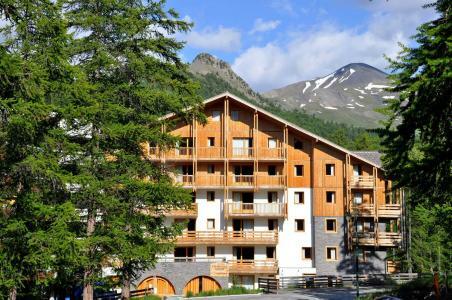 It is located in Vars les Claux, just 80 m from the shopping center "Point Show". The 39 fully equipped apartment with a balcony facing east, south or west and have a lovely view of the massive Eyssina. In Var Sainte Marie, the Residence is situated in front of hiking trails. First shops in 10 mn on foot or in Claux. Apartments, of the studio 2 in 2/3 rooms 6/7 persons, are completely equipped with kitchen (plate vitreous ceramic, microwaves, dishwasher), room of baths or shower, pay channel and paying wifi access. Space aqualudique (pond warmed with integrated spa, hammam, room of fitness), paying laundry and parking lots free outside ( limited places) and underground paying. The residence Le Villaret is situated at Risoul, 200 m away from hiking trails. This 6 floor residence with lift offers you a clear view of the mountain. The residence Soldanelles is situated in the resort center of Risoul, 100 away from the shops. You will have a direct access at the services and activities of the resort. The residence L'Eterlou is located at the heart of the resort, above a restaurant, 50m from the local shops. There is no lift in this residence.